We had so much fun in gymnastics, learning how to stretch our bodies in lots of different ways. We used our partners to help us balance and hold our stretches for as long as we could. Today we carried out an experiment to test whether or not paper would be a good structure to build a castle. After trying lots of different ways to make a structure with the paper, we found that rolling up the paper made it strong enough to create a sturdy, strong structure. In Summer One our theme is Destination Space, we have been creating planets using pastels and other materials. Our end product was an amazing Space scene which we created outdoors. In computing this week, we had a lot of fun experimenting with the Beebots. We had to navigate the beebot to land onto different planets in Space. We began by discussing ideas as a group about the algorithm we should take to get the beebot to its destination. We then took into consideration the ideas from our friends and set the beebot off onto his journey. It was such fun when our beebot landed on the correct planet but it was also funny when the beebot crashed into a UFO or was sucked into a black hole! It helped us learn a lot about making algorithms and solving problems. 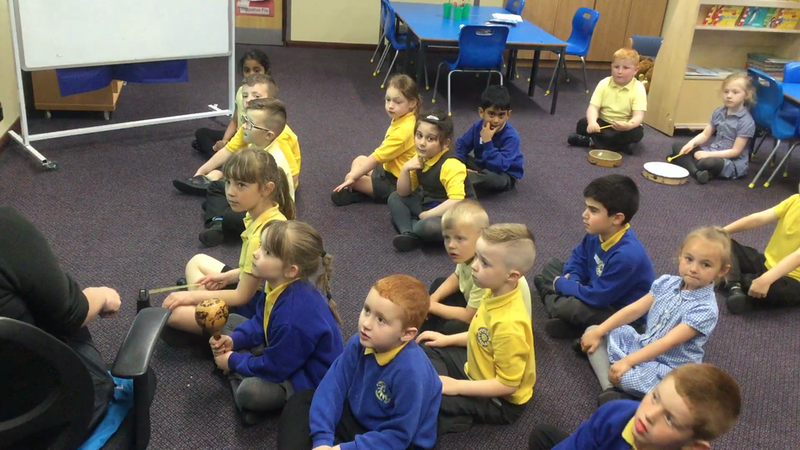 We began this music lesson by listening to music and thinking about what instruments we could hear. 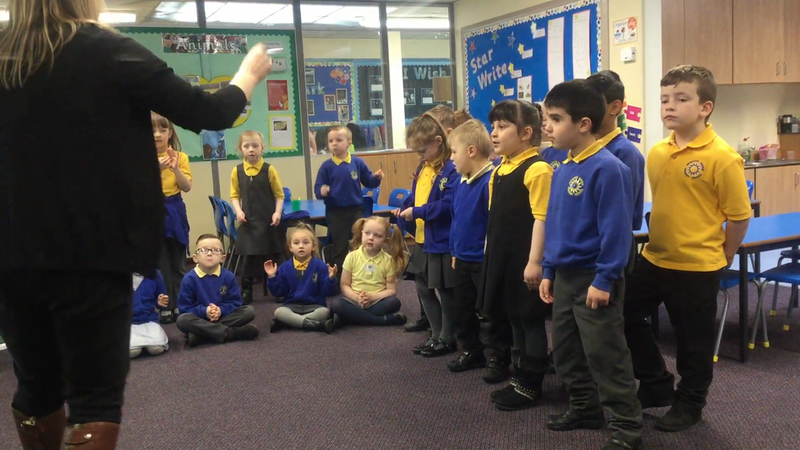 We then warmed up our voices by listening to a range of different sounds in different pitches and repeated them as a class. 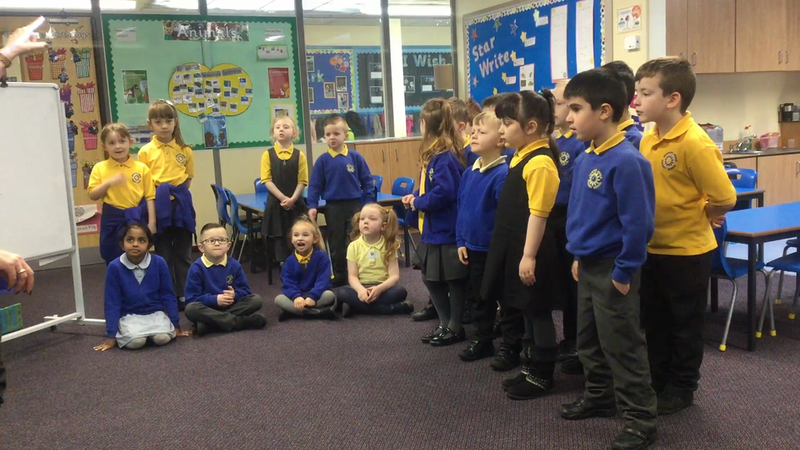 Next we learned the song we were going to be performing at the end of our music lesson, we looked at each others strengths in order to decided which role we should take. Some of us were singers, some of us were clapping to the beat of the song and the rest of us created sounds to replicate the instruments we could hear in the song. 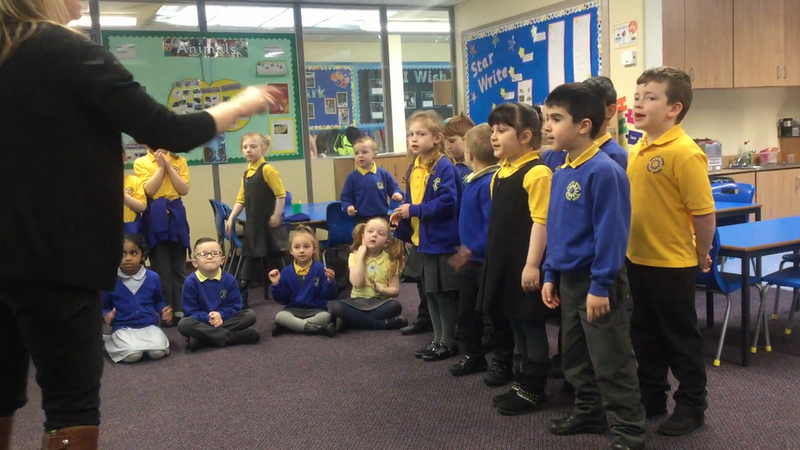 We had so much fun performing our song! As part of our theme lessons we have complete a fabulous DT project- making some super Christmas biscuits! We researched, investigated, designed, made and evaluated our biscuits and we have to say they were DELICIOUS! It was hard work but we had lots of fun completing this project! We produced some fabulous art during our 'Art Week' by combining a range of different skills. We began by using the I-Pads to take pictures of each other and we decided whether we wanted the pictures to be in black and white or in colour. We edited the pictures appropriately with a little adult support. We then used a simple weaving skill and some equipment to make a pompom which was going to be our dandelion head. Finally, we brought in some of our PHSE&C skills and made wishes about things we'd like to achieve in the future and discussed how we could work towards these. The final products looked fantastic and some of them are displayed in our Hall. We are very proud!